Location, location, location! Easy access to 41, I-75, & downtown. Neighborhood is perfect for walking/jogging, relaxing. Sparkling and spacious, this 3 bedroom plus den/study/ or 4th bedroom is bright and cheery with ceramic tile and/or Pergo throughout. Walls are fresh with neutral colors. Master bedroom with sliders to the pool features two closets and master bath with double sinks, separate shower and garden tub. The eat in kitchen is great for entertaining overlooking the family room and friendly breakfast bar. A built in desk and breakfast nook will make your chef very happy. Appliances include refrigerator, dishwasher, range, microwave and disposal plus inside laundry with washer and dryer. Screened patio is very private with pristine swimming pool and no rear neighbors on oversized homesite with room to run and play and/or garden. Pool maintenance and yard mowing are included! Application fee $50 per adult. 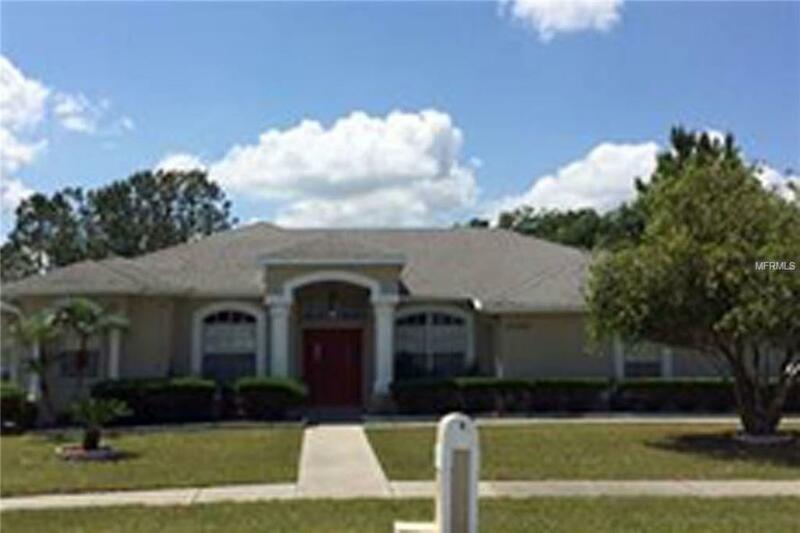 Listing provided courtesy of Usa Realty Of Tampa Bay Inc.